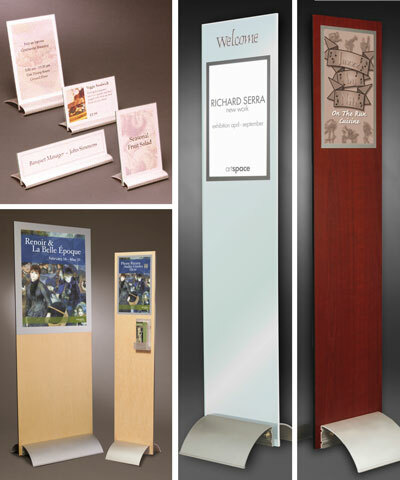 Extend your reach with these elegant and flexible displays. 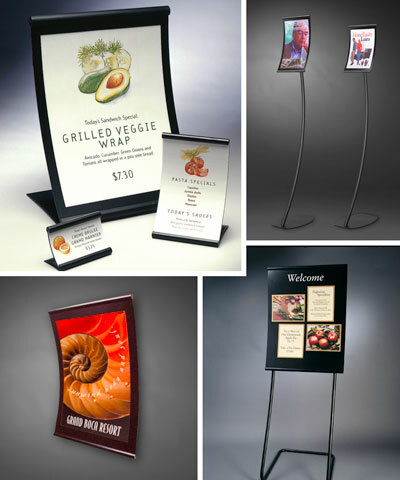 Continue your Menu Item Board theme with matching Custom Counter Top Displays. Or with our wide selections of Standard Counter Top Displays you can have a professional look. Just slip your preprinted graphics under the magnetic covers to quickly and easily update your message with a clean professional look. 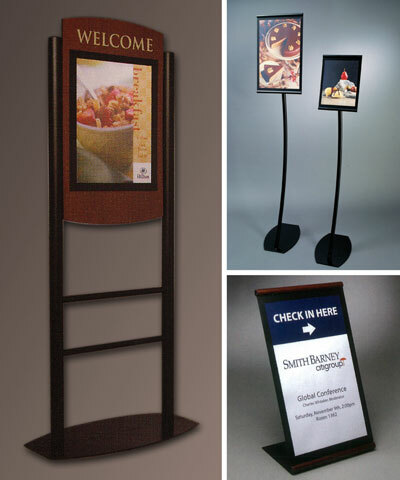 Add even more versatility with wall-mounting or freestanding displays.